Another Wicked Weekend has come and gone. It’s now time to recoup and catch up on piles of dirty laundry. #Dave Leikam and the entire #Racetime Entertainment crew put on an awesome event. #Bobby Moore built an amazing track that was super fun and #Jimmy Babcock did an outstanding job on the mic. Once again, we were in the first group of people on the track for practice. We were able to run several batteries as we did not have to ever wait in line. 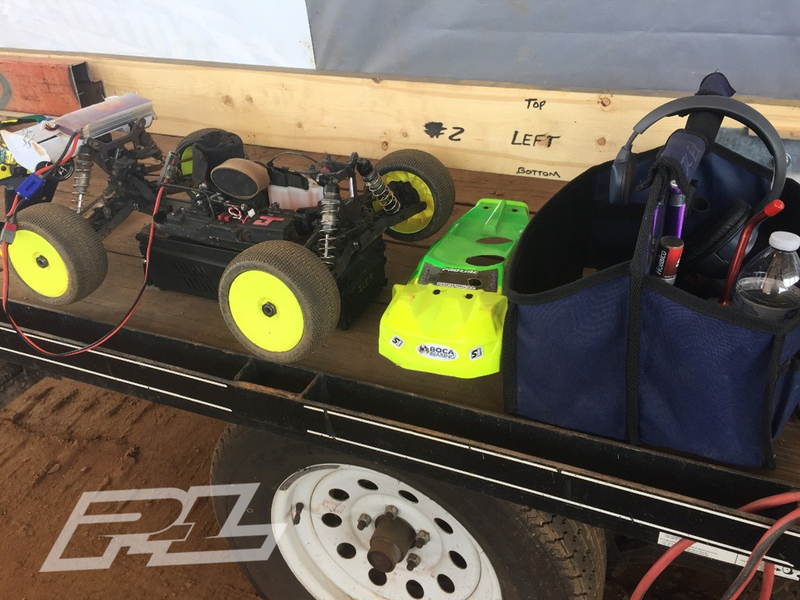 David was also able to run several tanks of fuel to test and tune his Nitro Truggy. When timing his runs, he was having a hard time making 7 minutes on a full tank. Back at the pits he noticed that his fuel tank had a slight crack in it. We were lucky as that was one of the things we had purchased to prepare for this race. 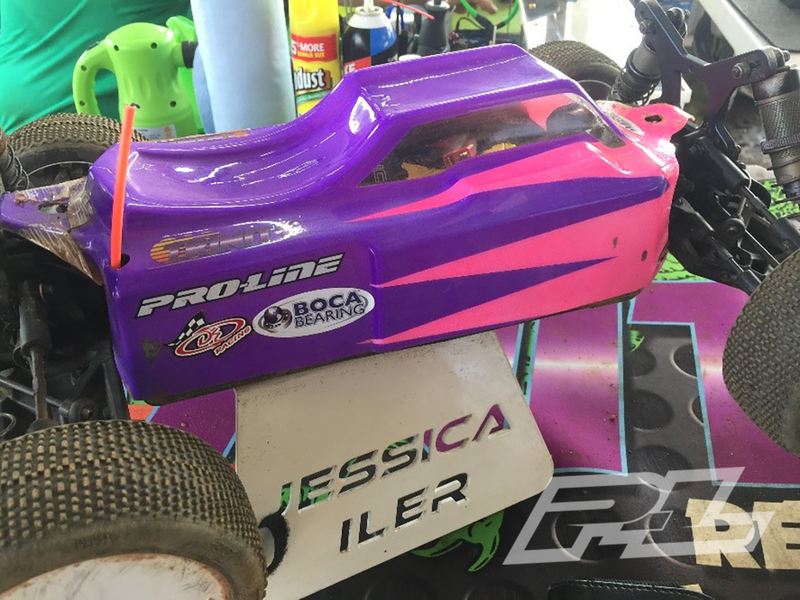 I put in 3 good qualifiers with my E-Truggy turning 9 laps each round. This would place me in the B-main. E-buggy I struggled in the first qualifier as I just could not keep it in control. Back at the pits #Janos Lazi Lazar looked at it and saw that I didn’t have any suspension. He helped me rebuild my shocks while giving me tips to make them smoother. This helped tremendously in my next two rounds putting me in the B-main. David ran 40+ E-buggy and did awesome qualifying 11th in the A-main. He also ran Nitro Truggy for the first time. He ended up having some bad luck in his first qualifier. On his practice lap before the qualifier started his throttle servo went. Knowing that was his throw out round he knew he needed to have a good 2nd and 3rd round. He ended up qualifying in the C-main. 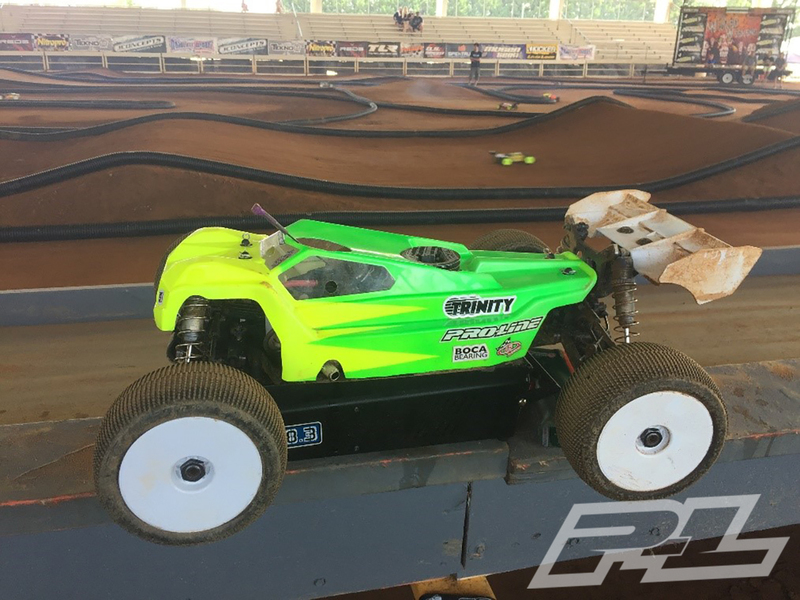 I had a blast in my E-Truggy B-main. I felt like I drove well and ended up in a good battle with a couple other racers. This being my first-time racing E-Truggy I was super happy to make it as far as I did. My E-buggy B-main was up next. It came down to the very last corner where the other driver went wide giving me enough room to take the inside corner and cross the finish line first getting the bump to the A-main. There were 65 entries in E-buggy so I was super excited making it to the A-main. Right before the first main I went from being on a high to a low. When standing in line for A-1 I was approached by another racer telling me one of his laps didn’t count in the B-main so technically I shouldn’t have gotten the bump. He said the racing officials told him that we both could race instead. I ended up having a bad run that round as he had gotten in my head. All I could think about is that I shouldn’t even be there. 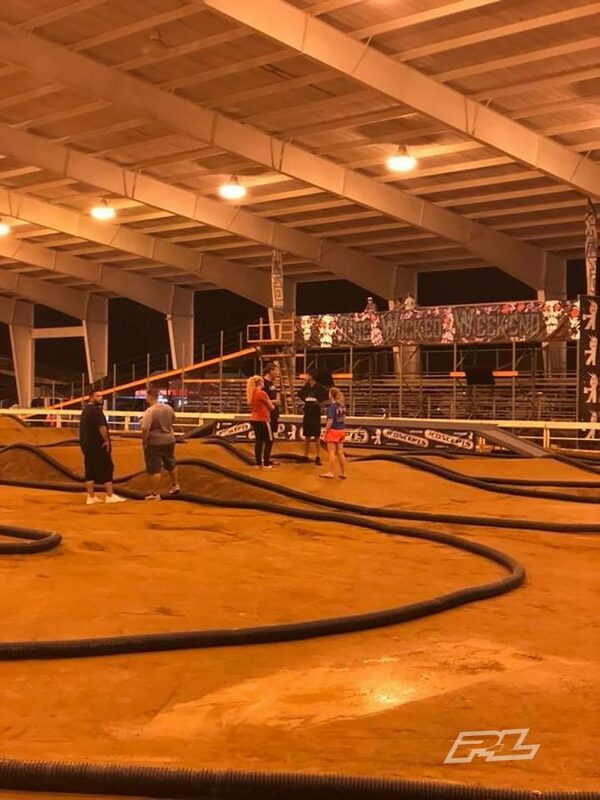 After the race I thought some more and could not understand why the officials did not confront me after the B-main if something had changed and I really did not make it. I had to find out a couple hours later going up to race by someone I didn’t even know. This man told me he told the officials not to say anything to me because apparently, he knew how excited I was to have made it, but then he ends up telling me anyways. If I really didn’t make it, I feel like the officials should have spoken to us both and not just him. Yes, I would have been disappointed, but I would have done the right thing and not race if I truly did not make it. This would have prevented me from being embarrassed in line as he was telling me in front of other racers. At that point I decided that I was not going to race A-2. I would like to give a special thanks to #David Iler (AKA hubby) for always being there for me. I never once had to worry about my batteries being charged or my tires ready to use. He is my number 1 supporter. 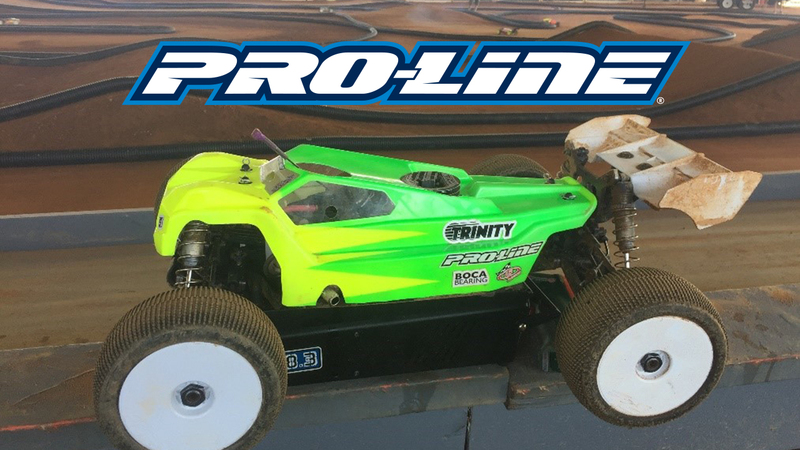 David was able to come back to take the win in his Open Nitro Truggy C-main and bump up to the B-main. Thank you #Brett Hold for helping in pit lane. Starting 14th on the B-main grid David ran an awesome 20-minute main making it all the way to the 7th position. This was outstanding for his first time racing this class. 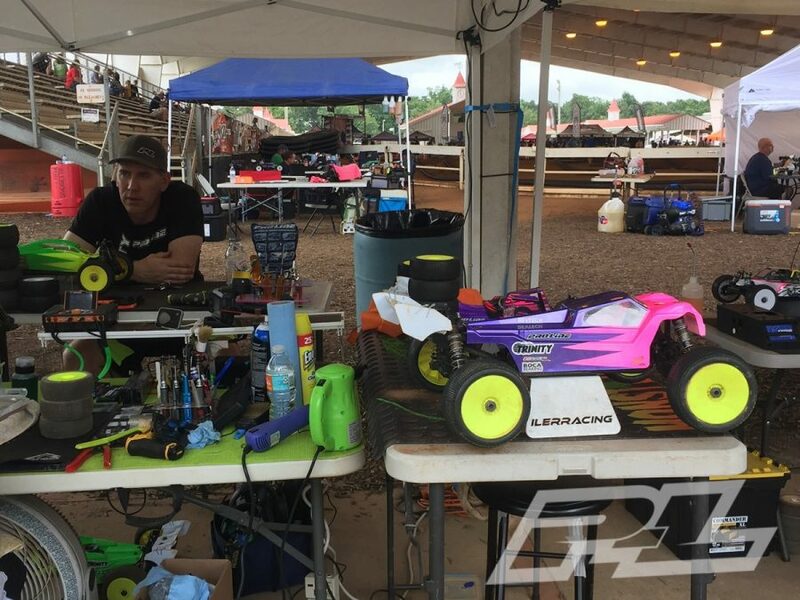 David only made it 2 minutes in the A-1 main before his buggy stopped with electrical issues. He was unable to race A-2 so we decided to get ahead start and headed home.